Will D.C.’s Housing Ever Be Affordable Again? Over the next decade, the city’s demographics will change dramatically, and housing policy will largely determine who gets to stay. D.C.’s affordability problem arrived and grew—rapidly. 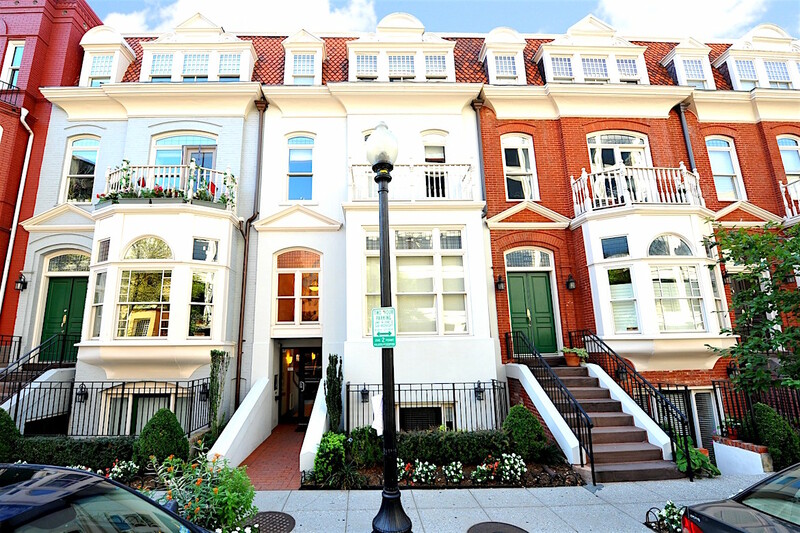 For low-to-middle income households, average monthly rent in the District has gone up by between about $50 to nearly $400, adjusted for inflation, between 2002 and 2013. The number of apartments that cost less than $800 per month, adjusted for inflation, was nearly cut in half in that same time period. Incomes, meanwhile, have remained largely the same. Now, D.C.’s government is trying to ramp up efforts that would ease some of the pressure on the housing market and help more middle and low-income residents stay put. To do this, they’re relying on a mix of tax dollars from their own coffers and federal housing funds. Already, in the past two years, the District has significantly ramped up its own spending on affordable-housing projects in an attempt to create and rehabilitate more housing. The District anticipates that its largest federal funds will come in the form of an annual $13.7 million infusion from the Community Block Grant Development program. Another effort, known as the HOME program, will provide $3.7 million each year, and a grant from the National Housing Trust will dole out around $3 million a year for programs targeted toward residents who make less than 30 percent of area median income. The federal funds provided will be used for things such as grants and subsidies for housing, for improving public facilities and amenities in poor communities, rehabilitating old buildings so they can be put back into use, making much-needed upgrades to housing stock, and erecting additional affordable housing units. Still, the gaps between what policies and plans can provide and what is actually needed are vast. Claire Zippel, a housing associate at the D.C. Fiscal Policy Institute, says that despite the fact that the city has spent a record amount on affordable housing in recent years, housing still accounts for only 3 percent of the city’s total annual budget. “That’s an absolutely tiny share compared to the investments we make in other critical areas like education, public safety,” she says. According to Zippel’s research, meeting the housing needs of all D.C. residents would require an investment of around $5 billion. The city’s local-funds budget (the portion that is directly controlled by the Mayor and city council and not subject to Congressional oversight) is around $7 billion. “Those numbers are not going to add up,” she told me. Rapidly rising housing costs led to a substantial loss of low-cost rental housing in the District over the last decade, yet there was little growth in wages for many residents, which means that rent is increasingly eating away at household budgets. As the District’s high cost of living continues to outpace incomes, more and more residents struggle to pay for housing while also meeting other necessities like food, clothing, health care, and transportation. The loss of affordable housing threatens the physical and mental health of families, makes it harder for adults to find and keep a job, creates instability for children that makes it hard to focus at school, and leaves thousands at risk of homelessness at any given moment. This analysis looks at the costs of rent and utilities paid by District residents over the last decade, and how these trends have affected residents’ ability to afford and live in DC, using data from the Census Bureau’s American Community Survey. The findings suggest that policymakers need a comprehensive strategy to preserve the low-cost housing that now exists and to create more affordable housing options in the city.